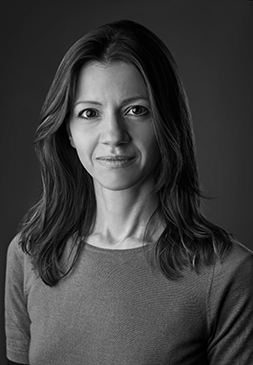 Vicki Mertzanidou, Director, is an empirical economist who has worked on a range of antitrust issues in different jurisdictions. She has managed teams in multiple large-scale empirical analyses in retail and other mergers including VTech/Leapfrog, Hammerson/Grand Central, Ladbrokes/Coral, Pork Farms/Kerry Foods, BCA Marketplace/SMA Vehicle Remarketing, Rexel/Wilts Wholesale Electrical, Kerry Foods/Headland, ATG/Live Nation, Capita/IBS OPENSystems, Lloyds TSB/HBOS in the UK; and Refresco/Pride Foods, Südzucker/ED&F Man, Schlumberger/Smith Industries, Panasonic/Sanyo and Pernod Ricard/V&S before the European Commission. In additional to merger cases, she has also worked on abuse of dominance allegations before the European Commission, the competitive effect of commercial agreements and the valuation of damages in commercial disputes. Her experience in industrial sectors ranges from white fuels and chemicals to commercial retail property, media data provision, used vehicle remarketing, telecoms equipment, recorded music, betting and a number of fast growing consumer goods. Vicki joined Charles River Associates (formerly Lexecon Ltd) in November 2003. Prior to this, she worked in the field of competition policy for more than four years, advising clients on competition matters at RBB Economics and NERA.